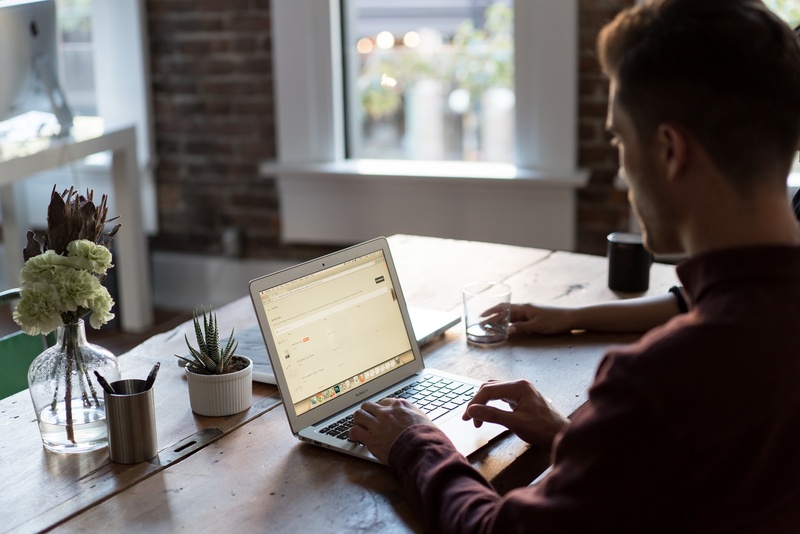 Hit the ground running in the new year with our picks of the highest paying affiliate programs for 2019. *Our work is supported by affiliate commissions. If you want to see the best affiliate programs to make money online, then you’ll love this guide. We’ve meticulously hand cataloged and reviewed over 67+ high paying affiliate programs. Whether you’re looking for top paying networks, programs to monetize your blog, or you’re a beginner getting started, we’ve gathered everything you need in one easy place. Read on, or select a category above to get started. Creme de la creme. Top of the Pops. Fat referral fees. No matter how you say it, these affiliate marketing programs offer some of the highest commissions available. Want to have your dream car paid for? Simply refer 100 customers to ClickFunnels and your new car could arrive sooner than you think. "Get Just 100 New ClickFunnels Users...And We'll [ClickFunnels] Cover The Payments On YOUR Dream Car!" As an affiliate you also have the ability to earn huge recurring commissions on all of their top level products and services. The ClickFunnels Affiliate Program offers a generous 40% recurring commissions on all sales you send their way. On a starter plan that equates to $38.80 every month (MRR*), per customer, for life! 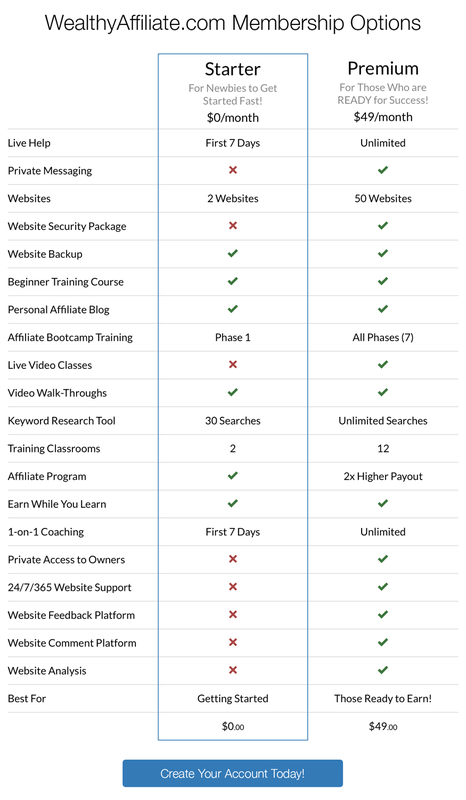 Wealthy Affiliate Pricing Structure. Free to join. FATJOE was founded in 2012 and has become one of if not the fastest growing link building and content creation agencies in the world. FATJOE has helped more than 1,000 Agencies in 12 countries secure prominent link placements and market their content. Earn 10% commission on every single sale. This includes one-off purchases or even recurring orders that clients place. You’ll always get 10% commission no matter what for the lifetime of the client referred. LiveChat offer a 20% recurring commission for as long as your referral remains a customer. It’s free to sign up and payments are made monthly. LiveChat is an online chat and help desk software used by over 26,000 businesses across 150 countries. 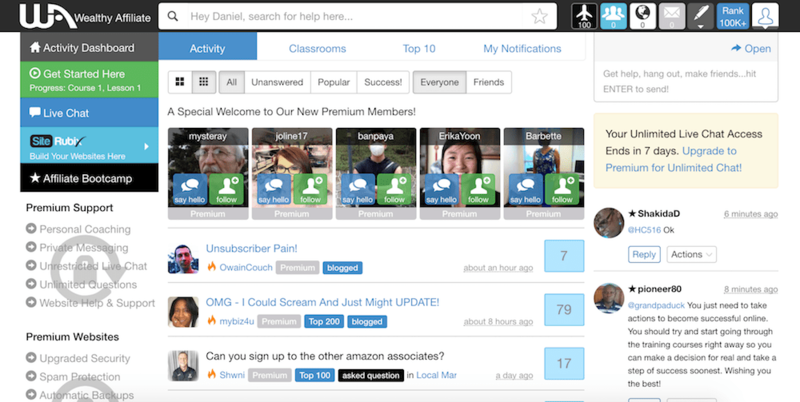 Earn 200% commission based on the price of the subscription your referral signs up to. Shopify is one of the most well-known eCommerce platforms, website builders and point of sales software providers in the the world. Earn an average of $58 for each paid signup who uses your unique referral link, and $2000 for each Plus referral. Start promoting products that your audience will love! Earn 35% of each Thrive Themes sale, plus 25% for recurring commissions. ThirstyAffiliates is more than just a standard affiliate link cloaker – it’s a clever tool designed to help bloggers earn more revenue. Start promoting ThirstyAffiliates and earn a generous 30% of the sale price for any sales referred to them. ShareASale is a large network offering a lot of options for your affiliate promotions. They also have about 1,000 merchants solely listing their affiliate programs through ShareASale meaning you can only access them through this network. 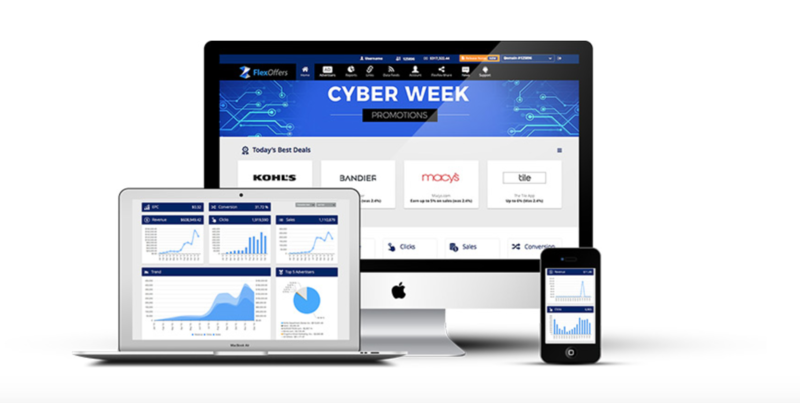 A Top 10 Affiliate Network for Revenue and Performance in 2015 and 2016 according to Blue Book, Flexoffers.com provides programs from well known brands and niche markets alike (over 12,000 programs to choose from). They also have an in-house editorial team to help create product marketing content for you to promote. PeerFly is a one-of-a-kind cost-per-action based affiliate ad network. These guys were ranked number one in the Blue Book for 2015 and are a smaller network that’s been operating since 2009. PeerFly have a rigorous signup process in order to protect their advertisers and can take up to three days to approve your application. On the plus side, they have a custom built platform meaning they can add in new features and generally have a more adaptive system than other networks. Earn unlimited commissions with one of the worlds most powerful email marketing platforms - Constant Contact. It's simple, earn $5 for each referral that signs up to free trial—no credit card required—plus $105 when your referral pays for a full account. Go ahead, refer as many website visitors as you can. There's no cap on commissions. Printful is online product printing and fulfilment in one. 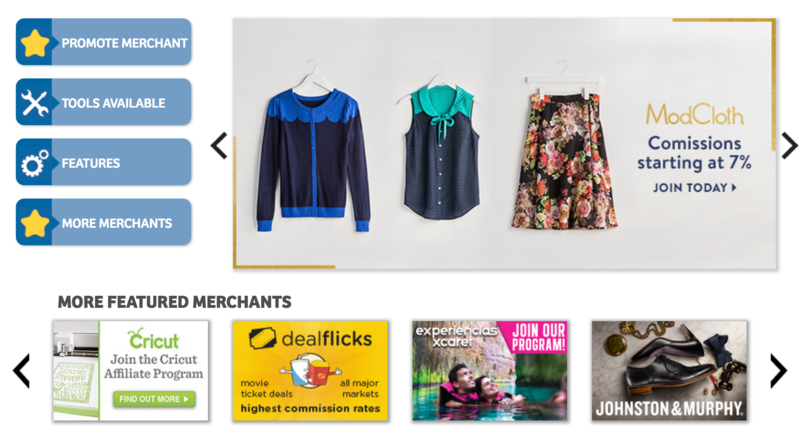 Print t-shirts, clothing, posters, and mugs, all from an easy dashboard, or connect your ecommerce store for automated fulfilment. Link new customers to Printful and earn 10% of their fulfilment price! Become a Printful Affiliate and you can start earning from the first order your referred customer makes, and keep receiving commissions for 9 months. SiteGround offer web hosting starting from a super low £2.75 per month which provides a great alternative to Liquid Web and WP Engine for the smaller entrepreneurs and bloggers. Their affiliate commissions are tiered and start at $50 per sale and move up to $100 per sale for more than 21 sales per month. Affiliate links are automatically added and optimised to your content. Generate revenue from your content with VigLink. Easy to install, their technology works in the background to automatically convert ordinary product links into monetized links! ‍As a publisher, your audience relies on your content to make valuable purchase decisions. Whether you’re a blogger, editorial site or social influencer, use VigLink's range of tools and reporting metrics to capture revenue while delivering powerful insights about your content. This is the affiliate program for SEMrush.com which is an all in one marketing toolkit for digital marketing professionals. They claim to be the world's leading competitive research service for online marketing. As an affiliate you can earn 40% recurring commissions on initial sales and all further subscription renewals. They also offer a 10 year cookie life and two payments per month. Collect.chat helps you make chatbots for your website. Over 10,000 websites use their simple drag and drop platform to qualify their leads, learn about their customers and to collect feedback. Partner with Collect.chat to earn a recurring 30% commission every month! Plus every time you close 10 customers you'll get a $50 bonus. This affiliate program is run via the ClickBank network so you need to become a member on there first. Once you do, you can earn 30% recurring commissions on all your referrals (their plans start at $25 per month). Long Tail Pro provide a system for finding targeted keywords and calculating keyword competitiveness for any niche. The eCommerce platform has a range of solutions for all sizes of business and affiliates can receive 200% upfront commission based on the price of the referrals chosen plan. StudioPress offer premium WordPress themes and plugins with over 190,000 users. Their affiliate program is run through the ShareASale network and provides affiliates with 35% on every sale. With a range of price options, you could be earning up to $350 per sale. Website owners can simply add a Q&A section to their site through Answerbase software. This allows visitors to ask questions and receive relevant answers quickly with less involvement from admin, improving efficiencies. As an affiliate you can earn 50% commission on the first months payment + 15% recurring lifetime commission. Their pricing starts at $49 per month meaning the entry level earnings for a referral is $24.50 one off + $7.35 per month. Plans go up to $399 per month. Improvely provide software to track and improve your marketing results. Their product is also suitable for affiliate marketers as it allows you to track URLs and protect against fraud - enabling you to optimize your marketing efforts. As a member of their Referral Reward Program, you need to sign up to the ShareASale network for access and can then earn 50% of the initial payment + 10% of recurring payment for the first 12 months. You’ve been steadily building up a value-packed blog that now has a growing list of followers. The next step in your journey is to somehow monetize all your hard work so you can earn some extra cash, or maybe even make it your full time job. WP Engine provide managed WordPress hosting to their 50,000+ customers from over 120 countries. Their affiliate program is run by the ShareASale network and offers high commissions of $200 per sale or 100% of the first customers payment (whichever is higher.) They also provide commissions of $50 per sale for any business sub-affiliates generate. This program allows you to earn commissions through qualifying sales as well as memberships to the Apple Music platform. This would be a great opportunity if your blog did tech reviews or was fan based on specific genres of music or TV show. You can earn affiliate fees from promoting songs, apps, books, movies and TV shows. This site provides webinar software so you can boost your online marketing and grow your business. As a blogger, you can use it to gain a more personal experience with your audience and if your blog is business focused then it could be a great affiliate program for you as well. It’s run through the ShareASale network. They offer new customers a 14 day free trial of which you get $2 per trial started. After that, you will receive 50% commission on any sale made with potential to earn up to $152 per sale. Sandals and Beaches offer a Luxury Travel service and affiliates can earn from 4% per sale across their range of products and services. The program is run through the CJ Affiliate network and would be perfect for those in the luxury travel or vacation blog space. Specialising in travel to multiple locations across Africa including safari’s, beach holidays and car hire, the Africa Point affiliate program offers a 30% referral fee of the commission received by Africa Point from any sales generated from your leads. If you have a blog or audience interested in travel then sign up to CJ Affiliate Network and start promoting the TourRadar travel services. They have a range of different offerings which make them appealing for all different travel readers and every successful sale will net you 5% commission. If you are in the small business sphere and want to promote some automation technology from eCommerce to lead generation and improving conversion rates then check out InfusionSoft's Referral Program. It starts at $500 commission per referral sale. This site offers yacht charter options all throughout Europe and pays its affiliates commission of €50 per sale. Operating worldwide, this yacht charter program is available for anyone with a marine/travel/sailing audience. Boatbookings themselves are a broker/booking system which means they receive a percentage of the net charter value ranging from 10-20%. Earn varying commissions on all spy gear purchased by your referrals. Have an audience interested in drones? OneDrone offers affiliates 3% of sales made to referred customers. Earn commission from promoting luxury watches to your audience. The Watchery program is run through the Rakuten Affiliate Network and earns up to 10% commission on net sales for it’s affiliates. If you want to help people resolve their debt problems then referring them to National Debt Relief could be a great solution. As an affiliate you will earn $27.50 for every qualified lead you send and $41 for every qualified phone call. Your leads must have at least $10,000 unsecured credit card debt, live in a qualified state and be looking for help. If this fits your niche then it could be a great opportunity. Medical Tourism is a growing business and this affiliate program will pay you $100 for every lead you send who goes on to book a treatment. Earn up to 7% commission on a wide range of yoga and meditation products and apparel. Essentia sell a top quality eco-friendly mattress and their affiliate program offers commissions of up to $358 per sale. Refer your mining, gold hunting, outdoor enthusiast, and treasure hunting audience to Black Cat Mining’s website and earn 7% commission on all sales. If you’re brand new to affiliate marketing then you’re going to need some easy to understand and well managed programs to sink your teeth into. Perhaps you’re sick of the rat race and looking for an alternative way to replace or supplement your income online. Or maybe you want to make money from your social media or blog following. It could even be that you’re just getting started and want to incorporate a way to earn some cash from the the very beginning of your online adventure. All website owners need hosting so no matter what audience you end up targeting there’s a chance you will be able to promote a hosting service for referral commissions. Either choose the one you use or pick one like DreamHost who have a generous program. You can earn up to $120 per signup under DreamHost’s award winning web hosting. They’ve been around since 1997 and host over 1.5 million websites. You don’t have to be a customer in order to join the affiliate program. This is just like an affiliate network. Once you sign up to become an Amazon Associate you can then advertise and earn a commission from any of the products sold on amazon. You literally have millions of options with what to promote and no matter what niche you’re in, there will be a product to offer your audience. This makes it perfectly suited for a beginner as you can sign up to become an Amazon Associate then start dropping links to specific products on amazon into your articles or posts right from the start. Similar to Amazon’s network, eBay allows you to promote your choice of millions of different products so you should always be able to find something relevant to your audience or post. Target offers over one million products for sale and you can earn up to 8% commission on your referrals in popular categories. Another retailer with millions of products to promote, AliExpress is growing with over 130,000 sellers. And with commission rates up to 50% on certain products there could be some lucrative opportunities in this affiliate program. Skimlinks takes a different approach to the traditional affiliate network system. When you sign up, you simply copy and paste a short line of code into the footer of your site once and then continue to create content as you normally would, including direct links to products mentioned in your post. This takes all the hassle out of affiliate link management. Your site needs to have commerce related content for this to be useful. It’s free to join Skimlinks and works on a revenue split model where they will receive 25% of any commissions. 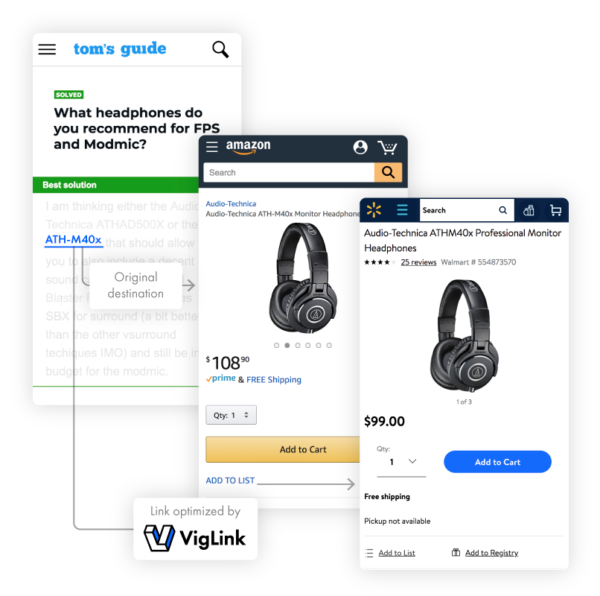 Viglinks operates in much the same way as Skimlinks, whereby you add a line of code to your site and all links are automatically turned into affiliate links to generate you commissions. They have over 50,000 brands and merchants signed up and currently have more than two million publishers. This is another very large network offering a lot of options for your affiliate promotions. They also have about 1,000 merchants solely listing their affiliate programs through ShareASale meaning you can only access them through this network. Previously known as Commission Junction, CJ Affiliates is one of the oldest and most respected networks. It has a very large database of programs and most merchants have a listing on this site. They often also pay a higher commission through CJ’s than their own in-house programs. It could potentially be the only affiliate network program you need to sign up with. Clickbank has a huge range of products available and covers all markets from health to digital services. There’s thousands of products you can promote as soon as you’ve signed up. One big benefit of digital products is that they often pay much higher commissions (think 50-75%). This network was formerly known as LinkShare, and was recently placed number one in the Blue Book Top 20 CPS Affiliate Networks 2016 . Whilst being a smaller network, and thus less suited to those starting out, Rakuten’s investment in technology and people gave it the edge it needed to overcome competition. It’s best features include automatic ad rotation and the ability to link to a specific page on the merchant's website which makes it easier with your targeting. A large network with multiple offerings, GlobalWide Media (which acquired the affiliate network NeverBlue in 2012) are known for “quality, accountability, reach and great people.” It can be tricky to get accepted as they have a robust signup procedure but once in, they have proactive account managers to assist in getting you set up. These guys were ranked number one in the Blue Book for 2015 and are a smaller network that’s been operating since 2009. PeerFly have a rigorous signup process in order to protect their advertisers and can take up to three days to approve your application. Awin have a large European presence and although operating worldwide, might be the best solution for those who are regionally specific to Europe and the UK. They have a user friendly system and offer twice monthly payments with small minimum requirements in multiple currencies. Pepperjam offers a their own unique platform with plenty of features like advanced tracking, robust reporting and payment flexibility. Another European focused network, Tradedoubler has more than 2,000 brands available for you to promote from some of the biggest and most popular companies in Europe. Zanox claim to be Europe’s number one affiliate network and with over 4,000 advertisers it’s definitely one of the biggest. They have a large range of markets covered including telecommunications, travel, financial services, and retail & shopping. Zanox also own the Affiliate Window program mentioned above and have the exclusive rights to manage the affiliate program for Etsy.com. As an affiliate, Commission Factory gives you everything you need to grow your online business using affiliate marketing in Australia. With over 500 brands to choose from on their network you're sure to find a store you can promote. Focused on digital products, you can earn high commissions by promoting your choice from thousands of best selling products. Avangate is the global eCommerce platform that maximises your sales of software, SaaS, and digital solutions. If you join as an affiliate you will have access to over 22,000 software products so you can find one that aligns with your audience. Commissions can be up to 75% and merchants sometimes offer bonuses as well. Some products also include recurring payments for licence renewals. As an eCommerce platform for business focused on digital downloads, RevenueWire has processed more than one billion dollars of online sales. Their program offers plenty of digital merchants and products to choose from and commissions are high as it’s in the realm of digital products. A top network for over 10 years with trusted brands and a focus on technology. Linkconnector have a dedicated team to assist affiliates with managing and growing their promotions as well as innovative technologies built specifically for their affiliate networks so you an optimum level of support. The BlueSnap market contains over 100,000 digital products for you to promote. They provide an advanced marketing system that ensures the best products and highest payouts. Impact Radius manage a number of high paying affiliate programs and by joining their marketplace as a media partner you gain access to these advertisers. They have a multi-layered tracking system which is claimed to yield 17% higher revenues on the same traffic. All that’s left to do is find the perfect one (or combination) for you. No matter what stage you’re at, or who you want to target, or how much you want to earn; the most important thing is to get started now. Have another look through the list and apply to join one of the affiliate programs right now. Go on, we dare you.